If you’re thinking of creating your own DIY wedding invites there’s never been a better time or an easier process in doing so. We really feel like we’re changing the game when it comes to printable wedding and event templates. Our browser based designer app just makes it so easy! In this post I’d like to show you the simple process of selecting a template from our shop and editing the template to make it yours using our web application. Before we get into that though, let’s first look at the Why?. 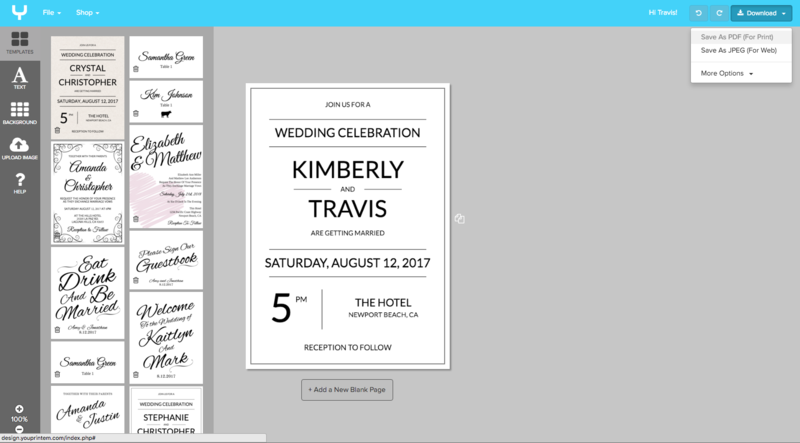 Why create and print your own wedding invitations? There are many reasons you may want to create your own wedding invitations. For most people, it could be the money you’ll save by doing so. Paying a company to create and print your wedding invites can be expensive and it can even take quite a bit of time from start to finish. So saving money is a great reason in itself to create your own invitations. Another reason may be the flexibility you have in creating your own invitations. You can play around with designs, fonts, and colors until you get something that’s perfect for your special day. You just don’t have this kind of flexibility when hiring someone else to create them. A third reason may be just for the fun of it! DIY-ing is huge right now. It’s fun to do it yourself and it lets you tap into your creative side. 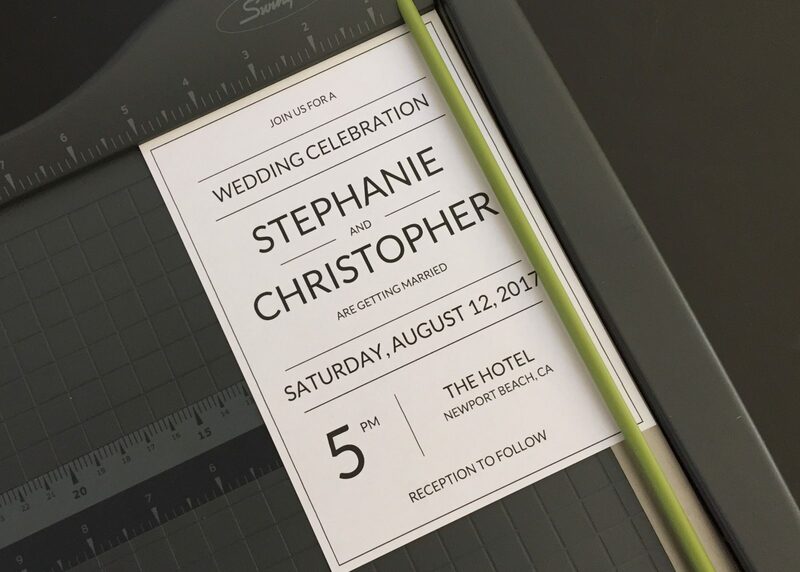 If the rest of your wedding is being done DIY style then it just makes sense to create and print your own invitations, rsvp’s, menus, table placecards, etc. The above a just three good reasons to create your own wedding invitations but there are a whole lot more! 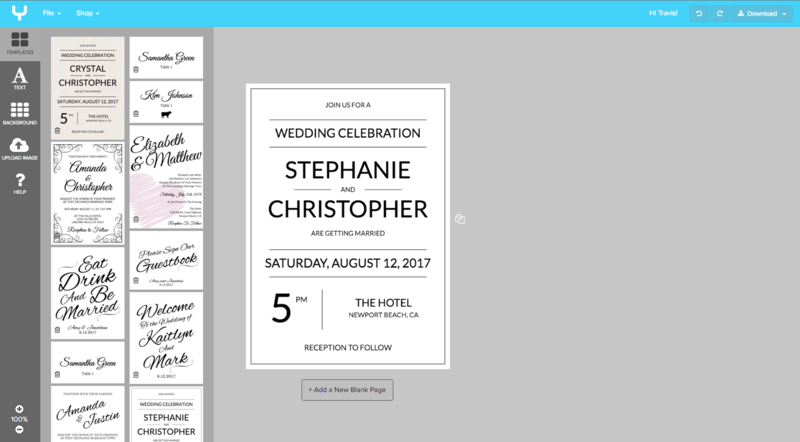 Now I’m going to walk you through the process of editing and printing your own wedding invites the YouPrintEm way (the easy way). Just select your favorite template and go through the checkout process. Once you’ve completed checking out, you’ll see a link to access the designer application. Your template will already be waiting for you in the designer app. It’s ready to be customized for your special day! Any time you purchase a template from YouPrintEm, that template will be added to your account and you’ll see all of your templates available to you in the application. You can now begin editing your template. Make all the changes you want to the fonts, colors, text, background, etc. Everything is editable. You can also delete and move around text. We’ve made it very easy to make your template just right for you. Don’t forget to save your work. You can save and come back to your template at any time. Your changes will be saved and your template will be waiting for you next time you want to come back and make changes. Once you made all the changes you need to and your template is perfect, navigate to Download > Save as PDF. With this PDF, you have the option to print right at home or take the PDF file to your local printer and have them print your templates for you. You’re almost done! Now just trim your template and send those invitations on their way. You can trim with plain old scissors, a ruler and exacto knife, or the best option is a paper cutter. That’s it! 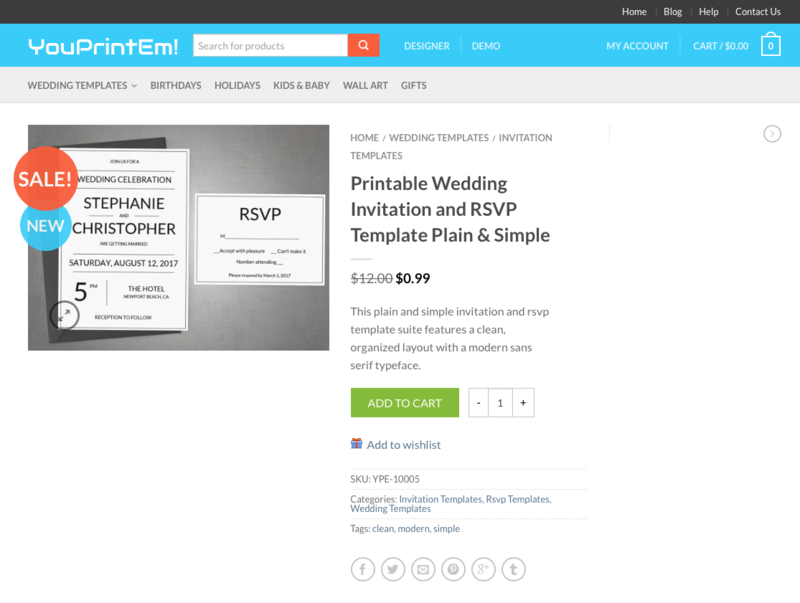 That’s all there is to creating your own DIY wedding invitations using YouPrintEm. 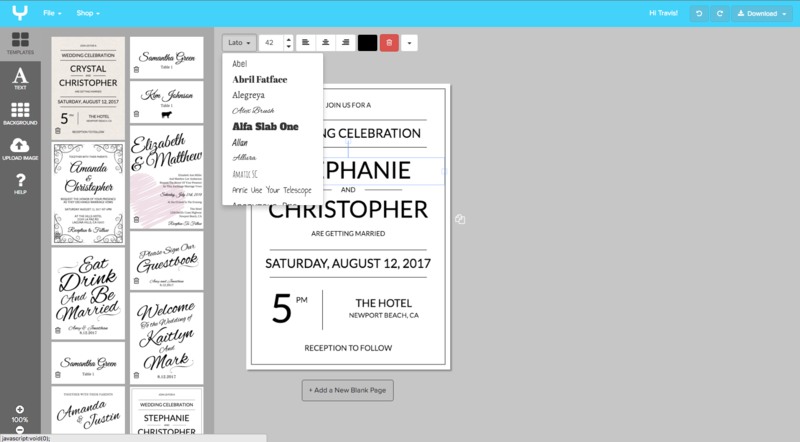 We really feel like this is the easiest way to create professional looking invitations for a fraction of the cost. Get started and find your perfect invitation templates in our shop. This entry was posted in General and tagged diy wedding invitations, wedding invites how to.